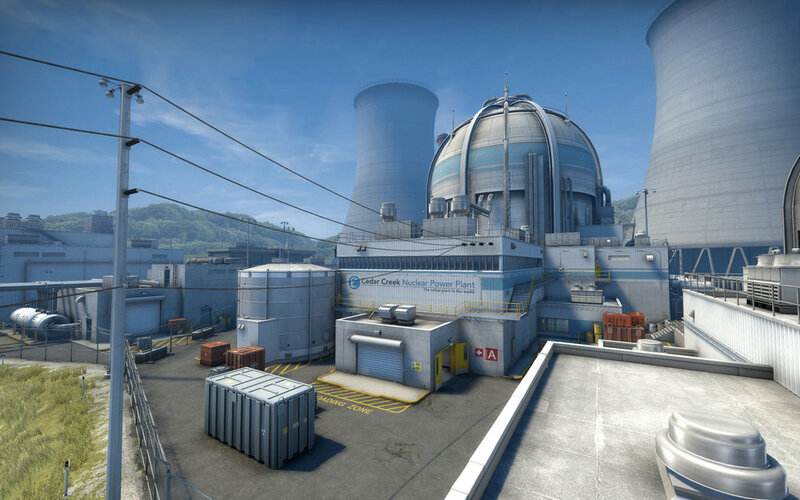 Nuke is one of Counter-Strike's most iconic and enduring maps. First released in November 1999, the map has undergone numerous aesthetic and functional changes over the years, yet always retained its elegant simplicity. 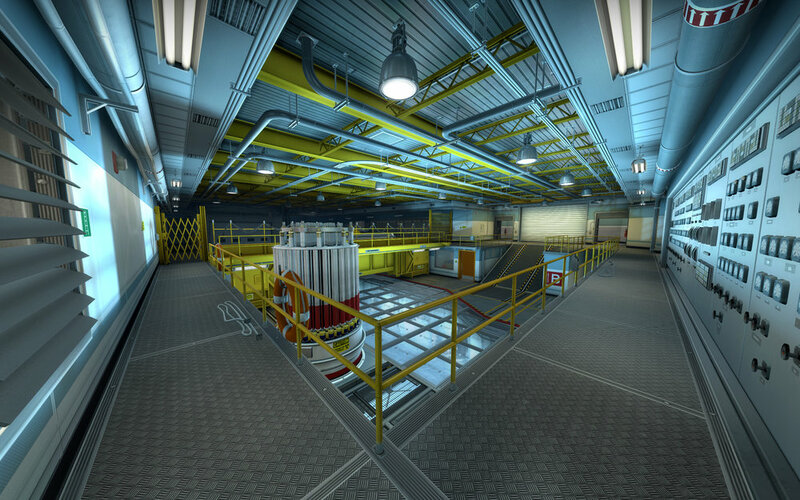 As one of the more visually dated maps at the time, I was excited to take on the latest evolution of Nuke and see which direction we could take it in both visually and functionally. One of the goals we set out for early on, was to create a clean, readable aesthetic which would allow players a better gameplay experience; The art and environment here had to an equal functional to visual value. We spent months absorbing every strat and exploit on the old Nuke so we could better enchance the gaming experience on the new one; with every prop, texture and brush carefully crafted and positioned to better provide visual cues for players to smoothly navigate the environment, bounce grenades, smokes, wallbang and boost with predictable, satisfying results. 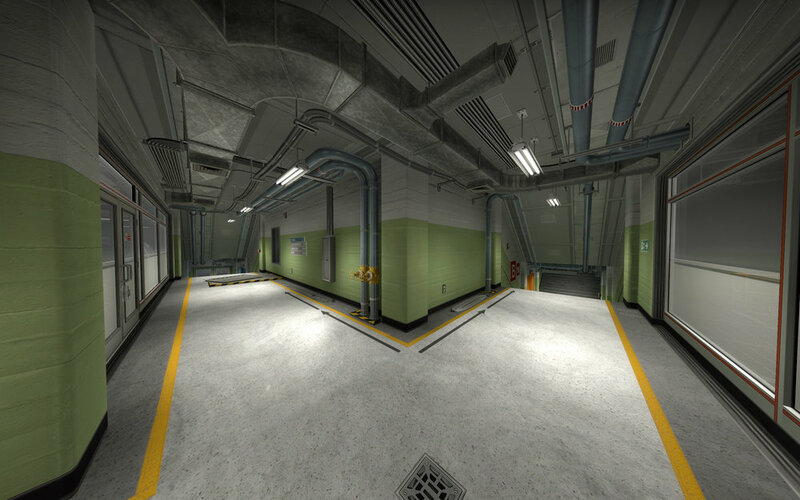 During my time developing Nuke, I also worked with the team to bring a number of visual upgrades to the engine, including: enhanced lighting, better reflections, FBX support, multi-UV support, model batching and many other bug fixes and features. I also wanted to create an extensive set of advanced, flexible, modular assets for the level design team and the community so that they could more efficiently build new levels in the future. 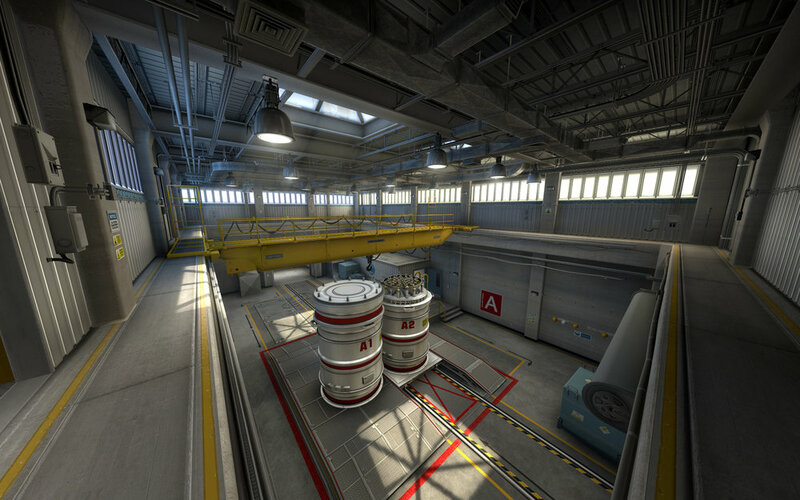 Nuke was also one of the first CS:GO map releases with an extensive zoo map and online guide to introduce mappers to the various new features and content along with the remake's release. Overall my goal was to bring as much value to the team and the mapping community as we do our players.